AC Output: 230V, 200W/50HZ. Travel-sized and Lightweight Design: Compact size(16.5×8.2×4.0cm) for space saving, allows you to put your inverter anywhere you want, tight fit into the car DC socket. 3-IN-1 Design: Combined AC outlets, cigarette lighter socket and USB charging ports (auto-match the max charging speed) into one compact, ideal for charging up to 6 devices simultaneously. Connectivité Série. Connectivité USB. Prises espacées de blocs transformateurs. Coupe-circuits réarmables. Voyants d'état DEL. Batteries échangeables à chaud. SURT1000XLI Caractéristiques. 700Watts / 1.0 kVA. On-line Double conversion. 594mm, 59.4cm. Profondeur de transport. 630mm, 63.0cm. Largeur de transport. 286mm, 28.6cm. 12V / 360W. 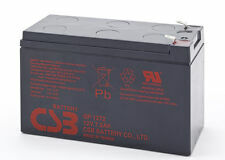 Batterie CSB. Cosses Faston F1/F2. Poids: 1.97 kg. 24Vdc 300W Soft Start Pure Sine Wave Inverter. Soft start minimises inverter shutdown when using large inductive loads. High accuracy output wave form with less than 4% THD. LED and audible fault indicator. 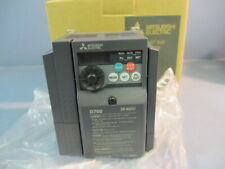 Manufacturer INVERTEK DRIVES. Module type vector inverter. Max motor power 0.37kW. Input 1 properties rotational speed setting with signal 0.10V, 4.20mA, 0.20mA. MPN ODE-3-120023-3012. Gross weight 0.92 kg. Manufacturer INVERTEK DRIVES. Module type vector inverter. Max motor power 0.75kW. Input 1 properties rotational speed setting with signal 0.10V, 4.20mA, 0.20mA. MPN ODE-3-120043-3012. Gross weight 0.98 kg. Manufacturer INVERTEK DRIVES. Vector inverter Max motor power 0.37kW Usup 200÷240VAC 2.3A. Module type vector inverter. Max motor power 0.37kW. Input 1 properties rotational speed setting with signal 0.10V, 4.20mA, 0.20mA. Nikkai DC to AC 150W Soft start power inverter. New. N64AU. Nikkai DC to AC 150W power inverter. Vector inverter Max motor power 1.5kW Usup 200÷240VAC 7A. Module type vector inverter. Max motor power 1.5kW. Input 1 properties rotational speed setting with signal 0.10V, 4.20mA, 0.20mA. Number of analog inputs 1. Manufacturer INVERTEK DRIVES. Module type vector inverter. Max motor power 1.5kW. Input 1 properties rotational speed setting with signal 0.10V, 4.20mA, 0.20mA. MPN ODE-3-120070-3012. Gross weight 0.98 kg. Manufacturer INVERTEK DRIVES. Vector inverter Max motor power 0.75kW Usup 100÷115VAC 4.3A. Module type vector inverter. Max motor power 0.75kW. Input 1 properties rotational speed setting with signal 0.10V, 4.20mA, 0.20mA. Manufacturer INVERTEK DRIVES. Type of module vector inverter. Max motor power 0.75kW. Input 1 properties rotational speed setting with signal 0.10V, 4.20mA, 0.20mA. Gross weight 1 kg. Series Optidrive E3. BESTEK 300W Pure Sine Wave Power Inverter DC 12V to AC 230V 240V with 4.2A Dual Smart USB Ports Car Adapter. 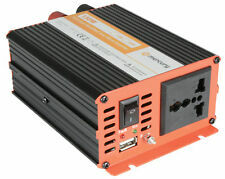 BESTEK 300W Pure Sine Wave Power Inverter. Modified Sine Waves (MSW) are not smooth, flowing waves. Peak power: 1600 W. - except power inverters stronger than 350W. Output power: 800 W. Power current type: DC-to-AC. Height: 8.9 cm. Depth: 4.7 cm. Onduleur Keor multiplug avec 8 prises de courant 2P T et disjoncteur intégré - 600VA 360W - autonomie 10 à 15 minutes. Puissance active : 360 W. Ports de communication : USB. L'onduleur de type line-interactive Fortron EP 650 associe haute fiabilité et taille compacte. Il constitue un choix tout à fait évident pour les machines installées dans des espaces réduits et nécessitant une protection de haute qualité. Our professional qualified staff will attempt to the resolve the issue in the possible case of a connect or compatibility issue. We will make your experience as simple and satisfying as possible. Avec sa technologie Haute fréquence, l'onduleur Z1 Zenergy Cube 400 VA est parfait pour des ordinateurs (PC ou Mac). En cas de perturbation électrique, vos appareils connectés sont protégés. Puissance : 400 VA.
Onduleur ( montable sur rack / externe ) - CA 200/230/208-240 V - 2700 Watt - 3000 VA - RS-232, USB - 9 connecteur(s) de sortie - 2U. qui vous aident à prolonger la durée de vie de vos batteries. HPE Power Protection. Pure sine wave output is better than modified or "square" sine wave because it increases the efficiency of inverter and makes it suitable for more appliances. - Output waveform: pure sine wave. Get 240V AC mains electricity for your appliances anywhere - just use your 12V battery or battery bank. Premium 500W Power Inverter with 2 USB ports and 1 AC outlets. Total Power: 500W. It features 2 USB ports for smart phones, plus a 220-230 Volt outlet for other devices. It's compact, lightweight and plugs easily into any cigarette lighter. 600W 12V pure sine wave power inverter 230V AC output (UK socket), with powerful USB port - for any vehicle, boat or stationary off-grid power application (600 watt 12 volt). - Output waveform: pure sine wave. It's model number is AC-3000-48 and CC109128468. Model Numbers: AC-3000-48, CC109128468. Output: 48 - 56.2 V--, 3000W MAX. Manufacturer: Lineage Power. Limitation Of Liability. NEW Pulls Item was originally installed in a new system that was scrapped or recycled before it was put into service. Type de périphérique Parasurtenseur - externe. Parasurtenseur Standard. Tension d'entrée CA 220/250 V. Indice de consommation d'énergie sur coupure 1110 Joules. Hauteur 6.5 cm. Connecteur(s) d'entrée 1. Output waveform: pure sine wave. Get 240V AC mains electricity for your appliances anywhere - just use your 24V battery / battery bank. - Surge power: 2000W. - Input: 24V (20-30V) DC. Overload, short circuit, overheating and other protection functions. Envoi Colissimo / Mondial relay / DHL. INFOSEC X2 LCD TOUCH 700IEC COMPUTER INVERTER UPS line interactive 700 VA 4 IEC sockets, 1 year guarantee Line Interactive Computer, Home Offices/Small monophase/monophase UPS Infosec 700 VA BRAND NEW. 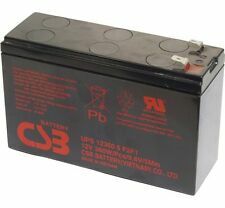 Type batterie:Lead-Acid. N.B : 1 batterie et non 4 batteries 1 battery and not 4 batteries. With conversion of 12V DC power from 200V~240V AC household current and 120W (Max 150W) rated power, this power adapter is the ideal must-have converter to power almost all of the automotive electronic devices. Spannungswandler SIN-PRO-800E. - Ein in dem Spannungswandler eingesetzter ringförmiger Transformator gewährleistet hohe. - Der Spannungswandler erzeugt am Ausgang eine reine sinusförmige Spannung, wodurch. P/N: PV150. SKU: PV150. MPN: PV150. PowerVerter 150-Watt Ultra-Compact Inverter Power 150W DC AC. Product Line: PowerVerter. Manufacturer: Tripp Lite. Continuously spplies up to 150 watts of 12V AC power to a single AC outlet from any 12V battery or automotive DC source. Converts DC 12V from car cigarette lighter socket or battery to AC 220V outlets. 1 Power Inverter. Peak Power: 1300W. 2 AC outlets and 4 USB charging ports, great for charging laptop, TV, DVD players, lights and other electronic devices. As such, once an order has been placed, we are generally unable to cancel the order. IN GOOD CONDITION. Skytronic 651.554 600W 12Vdc Inverter. PowerVerter PV100USB Power Inverter 100W Car Inv 2PT USB. P/N: PV100USB. SKU: PV100USB. MPN: PV100USB. Product Line: PowerVerter. 100W Compact Car Inverter 12V CLA 120V 2PT USB Charging 1 Outlet. Manufacturer: Tripp Lite. ● 24V DC to 12V DC ● Allows to convert 20V-30V DC to 12V DC; The unique design with the male cigarette lighter plug and the female cigarette lighter socket is compatible with 12V automotive electronics on 24V vehicles. 200W POWER INVERTER dc 12V to ac 240V (220V±10%) : Converts 12V DC power from vehicle battery to 220V-240V AC main power, a real powerful car inverter provides 200 watts continuous dc to ac power with UK AC outlet and USB charging port.